So what exactly is this brand new facial. And how can it benefit your skin? 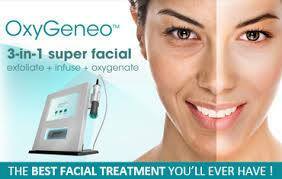 OxyGeneo Phoenix az is a revolutionary new approach to facials. In fact, people call it the super facial. Scottsdale based Inspire Day Spa offers our clients only the best of the best when it comes to skincare treatments. Ever since introducing the OxyGeneo facial, we have had so many people leave our state-of-the-art facility feeling rejuvenated. The science behind this particular facial is fascinating. You essentially receive 3 facial treatments in one. Because of this, the benefits are certainly far-reaching. Among the results that clients have seen brightened skin tone, youthful firmness, tightened pores as well as incredible hydration. 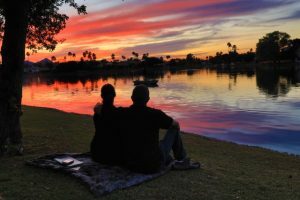 What is involved with OxyGeneo Phoenix az? A relaxing capsugen tablet first cleans and exfoliates the skin. This way that upper layer of skin can receive all of the active ingredients. This will help firm and hydrate your complexion. NeoRevive and NeoBright are then added to the skin’s surface. These ingredients contain hyaluronic acid, peptides, and retinol among other elements. These ultimately allow you to have clearer, brighter and plumper looking skin. The skin’s response causes a greater flow of oxygen rich blood to the area. Capillaries open up and the active ingredients absorb into the skin. We’ve mentioned a few of the benefits of this revolutionary new approach to facials. Many spas and cosmetic dermatologists across Scottsdale Az are implementing this skincare treatment into the services offered as the benefits truly are impressive! The improvement of fine lines and wrinkles. Thanks to the active Retinol included in the NeoRevive. Overall skin brightening, as the NeoBright contains the all-natural Kojic acid which helps to brighten and even out skin tone. Pore tightening. The entire process is about a deep cleansing and reduction of pores which can otherwise trap dirt and bacteria. We are proud to offer this exciting new treatment. Come relax by the lake, take in the views, and experience how an OxyGeneo super facial can make your skin look and feel. Our estheticians would be more than happy to consult with you prior to your treatment and discuss any questions you might have.